Being Human – The Salman Khan Foundation has partnered with Mumbai based Style Quotient Jewellery Private Ltd. to introduce Being Human Jewellery’s 1st exclusive franchise store in Chandigarh. 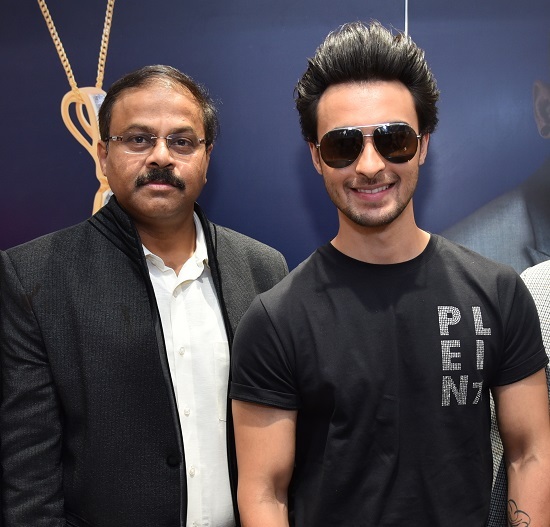 Being Human Jewellery’s Franchise store in Chandigarh was inaugurated by Bollywood Actor Aayush Sharma, who made his debut in 2018 with the Salman Khan Films Production - Loveyatri. The store houses an enthralling range of fine jewellery catering to varied tastes. Elegantly designed, Being Human Jewellery comprises of light-weight collections in plain gold, diamonds, and coloured stone pieces. The designs are classic, stylish, quirky and affordable, catering to every woman’s taste in fine jewellery. Being Human Jewellery is designed in certified natural diamonds and crafted in 18 karat gold and 22 karat diamond jewellery, 22 karat plain gold jewellery and diamond jewellery with coloured stones. Each jewellery piece of Being Human Jewellery is available in a special box – every time a woman adorns Being Human Jewellery, Salman Khan’s inimitable voice thanks her for buying the jewellery. Style Quotient Jewellery Private Limited, are creators of exquisite jewellery, housing multiple brands under one umbrella. This brand is functioning under the leadership of Prasad Kapre, a world-renowned visionary in the Indian Jewellery Industry. It is their endeavor to create exceptional brands and showcase to the world, India's skilled craftsmanship, and design capabilities.